Don’t like to read? Go watch my YouTube video tutorial instead! It’s honestly shocking to me how often I meet guys who do absolutely nothing to take care of their skin. They tell me that they either just rinse off their face during a shower or maybe use some bar soap to clean their faces. If you’re one of these people…STOP WHAT YOU’RE DOING AND READ ALL OF THIS!! Sorry to be so aggressive, but I feel strongly that it’s necessary. 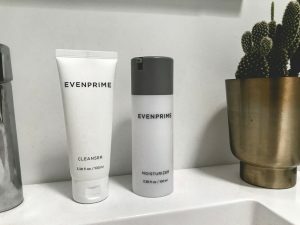 I’ve partnered with the lovely people over at EVENPRIME, a California based, Korean made skincare brand that’s taking all the complication and confusion out of the process. They sell two products. A cleanser and a conditioner. The reason they only sell these two is because these are all you need to maintain healthy, clear skin. Also, all of the best skincare products in the world are made in Korea and at $45 for the set, you’re getting a crazy good deal. 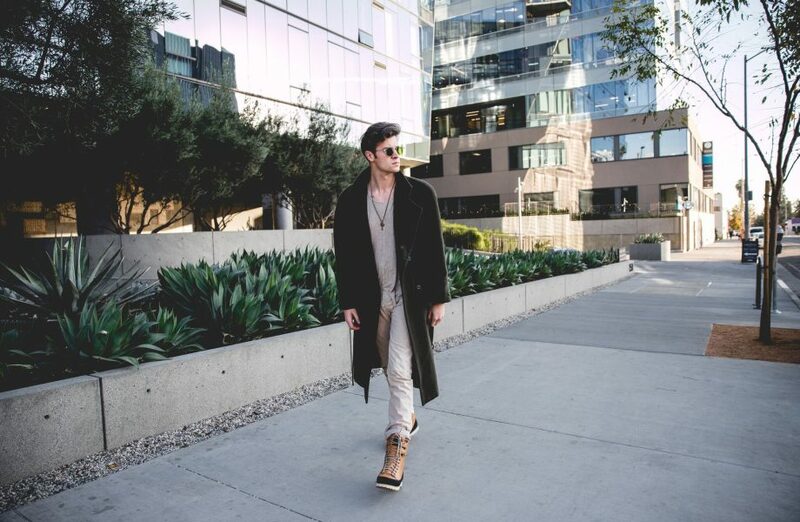 PLUS, if you use code PARKERYORKSMITH on your first order, you’re going to get 20% off..wow! 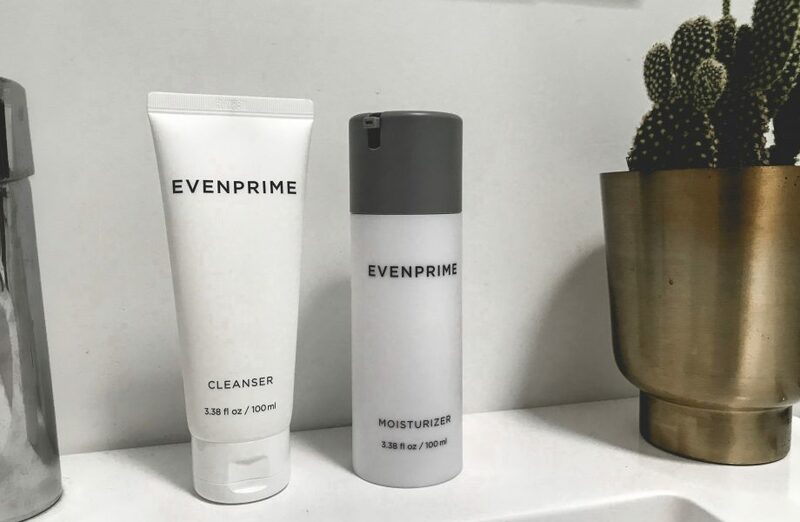 EVENPRIME products are even travel friendly so you don’t need to worry about whether your hotel will have decent products. 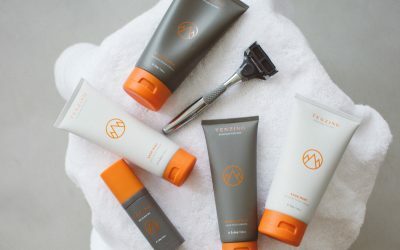 Throw them in your dopp kit and know that your routine (and skin) won’t suffer. 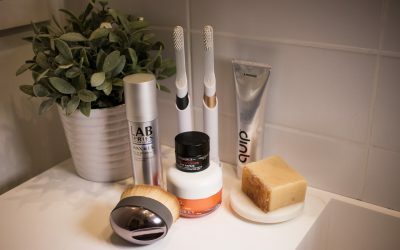 Every morning when you wake up, following the right oral hygiene practices is equally important to look the best every day, so refer to some useful resources from Delaney Park Dental for a comprehensive guide on routine oral care, then wash your face with a good cleanser. Get your face wet and then rub about a dime size of the product all over your face and neck. Then rinse it clean with some cold water so that your pores close. Next, rub on a thin layer of moisturizer to be sure you’re replenishing your skin with moisture that it may have been stripped of during cleaning. Be sure to get under your eyes, up to your hairline on your forehead, and on your neck as these are all areas that will wrinkle easily. THEN YOU’RE DONE! It’s seriously that easy. 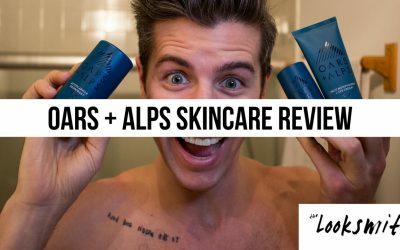 Repeat the same process before bed each night and within a week, you’ll be shocked at how much better your skin looks and feels. You’ll stay wrinkle free and bright for years to come! 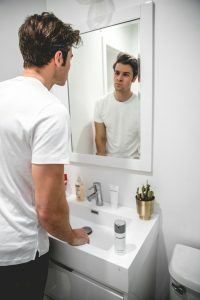 By increasing your heart rate and breaking a sweat at least three times per week, your skin will secrete a lot of nasty toxins that you’ve taken in from bad foods or alcohol. This is another way to be sure that your skin stays youthful and healthy for a longer period of time. Just be sure that you’re showering or at least washing your face as soon after a workout as possible to avoid clogging your pores with sweat and causing breakouts. Whether you realize it or not, your hands are DIRTY. Everything we touch all day long leaves buildup and residue on our fingertips that when touched to your face, leaves nasty grease and dirt there which can clog pores. Try your best to get in the habit of not touching your face. If it’s absolutely necessary to scratch or rub something, try to be sure you wash your hands first or else wash your face afterwards. I would hope that by now, this is understood, but if you’re still smoking cigarettes you’re doing major damage to your skin and causing premature aging. It breaks down the cells in your body so they aren’t able to regenerate as easily and will add years to your appearance. No moisturizer in the world will reverse the damage of smoking. These are all very doable steps in order to gain and maintain clear, healthy skin. No more lugging around tons of products. It’s only two small bottles. EVENPRIME has done such an amazing job of creating a simple to use, extremely effective solution that you’re doing yourself a disservice by not using it. Plus, with that promo code PARKERYORKSMITH, you’re going to save some money off the already affordable price. You can also take a look at SKINCLUB for some excellent skin improvement advice.